More tea leaves. Here are the exit poll results from Ohio. 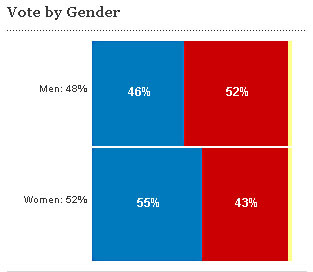 Women make up 52 percent of the sample, which implies that Obama has won 51.7 percent of the total two-party vote. Stay tuned!